Known as the Saber-Toothed Herring of the sea, this ancient fish had two sets of giant upper and lower fangs. It had other teeth , but the front ones are the most impressive. 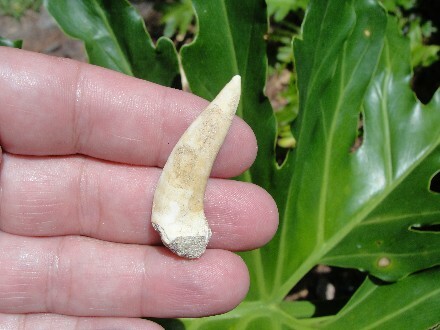 This tooth is one of the fossil fish fangs. A fantastic complete tooth from the Phosphate Deposits of Morocco. The tooth has some matrix on it and is solid and complete. Very slight nick on tip of tooth. 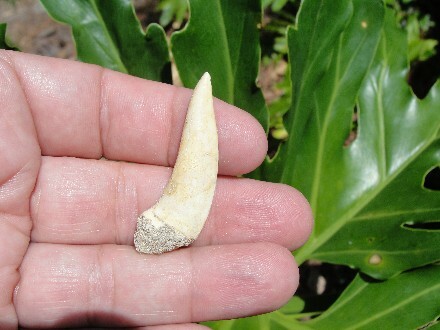 Beautiful tooth of a fossil fish that swam the prehistoric oceans millions of years ago. Very nice to collect. Actual Specimen Pictured & Guaranteed Authentic.